Nearly 30% of adults aged 18 years of age and older in the U.S. suffer from hypertension or high blood pressure. The disease is often called a silent killer, as most individuals experience few if any symptoms. Left unchecked hypertension increases the risk for cardiac illness including heart attack, heart failure and stroke, and is also a major contributor to kidney disease. There has been a significant, global rise in the rates of hypertension during the past decade, most likely due to the epidemic of obesity and related poor diet and exercise habits. Since hypertension is linked to lifestyle factors, doctors are beginning to emphasize healthy eating habits and exercise to treat hypertension as a complement to medication. The standard recommended Dietary Approach to Stop Hypertension (DASH) has promoted healthy eating as central to hypertension management. Advocates of complementary medicine, which utilizes a holistic model of patient care, argue that a multifactorial approach is needed to address the varied aspects of hypertension, however. Is a holistic, lifestyle-management strategy more effective for lowering blood pressure than the traditional DASH approach? A group of Israeli researchers addressed this question by examining whether the Comprehensive Approach to Lowering Measured Blood Pressure (CALM-BP) program would be more effective at reducing blood pressure than the DASH method. The CALM-BP program includes lifestyle education that includes cultivating a wholesome diet, engaging in regular exercise (yoga, qigong, walking, etc. ), and adopting stress management skills (e.g. controlled breathing and relaxation exercises). The DASH approach emphasizes healthy eating in the treatment of hypertension. In the study, 113 adults with hypertension were assigned to either the CALM-BP program or to the standard DASH treatment plus exercise for 16 weeks. Participants in both groups participated in a weekly, moderately aerobic group walk for 45 minutes, and were asked to walk for a similar period of time at least three other days per week. They also received nutritional training that included adopting a rice-based, predominantly vegetarian diet. Members of both groups were also required to attend a weekly group meal with dishes being prepared according to a predetermined dietary plan. The CALM-BP group also received instruction in stress management and relaxation for one hour per week. Classes included yoga, qigong, breathing, meditation, and a stress management group. They were also provided a 10-minute qigong/guided imagery CD and asked to use it daily. At the end of the 16-week program, researchers measured changes in blood pressure and use of blood pressure medications as well as biochemical and metabolic changes, and self-reported quality of life. Those in the CALM-BP group were found to have statistically significant reductions in weight, body mass index (BMI), total cholesterol and total fasting blood glucose as well as systolic and diastolic blood pressure. They also reported significant improvements in perceived physical and mental quality of life. group were also found to require less medication at the conclusion of the study compared to those in the DASH group. One of the biggest questions for studies that involve complex and multifaceted lifestyle changes is whether or not these changes are sustainable over time. Many yoga therapy studies report that individuals are not able to reliably continue new behaviors for a prolonged period of time. Participants in the CALM-BP group showed an impressive 100% participation rate at four months, and 70% at 10 months. Clearly, focusing on multiple lifestyle factors, including diet, exercise, and stress management appears to be more beneficial than dietary changes alone. Those enrolled in the comprehensive CALM-BP program experienced not only significantly lower blood pressure, but also improvements in biochemical and metabolic indicators of heart disease such as cholesterol and glucose profiles. This study raises some interesting questions regarding current approaches to medical treatment and research. 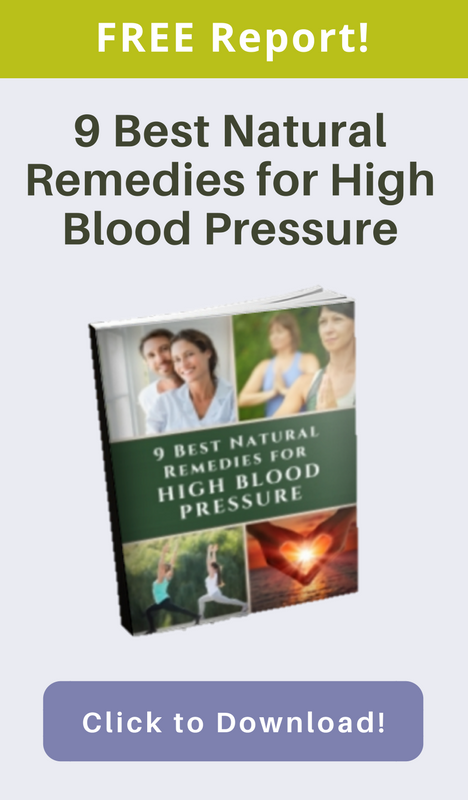 The “magic pill” or “silver bullet” approach to treatment, in this case medication to reduce hypertension, fails to address lifestyle issues such as diet, exercise, and stress management that can undermine overall health and wellbeing. Holistic approaches to health, such as those found in Ayurveda and yoga may have greater, long-term health benefits than treating illnesses as discrete categories and treating symptoms independently of the overall person. The proof will come in future studies that continue to test whether complementary approaches create additional benefit to standard treatment. Ziv, A., Vogel, O., Keret, D., Pintov, S., Bodenstein, E., et al., (2013). Comprehensive Approach to Lower Blood Pressure (CALM-BP): a randomized controlled trial of a multifactorial lifestyle intervention. Journal of Human Hypertension, 27(10), 594-600.